Mandy sends in this delightful button flower. 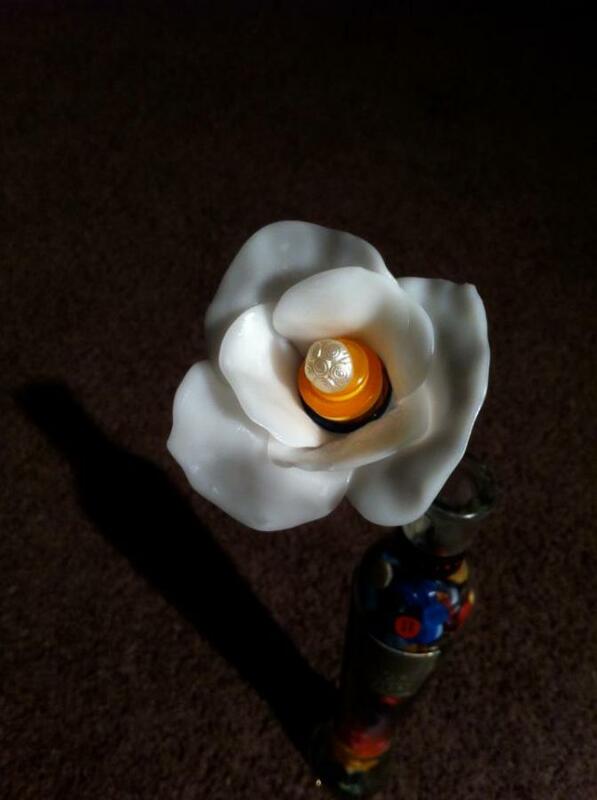 She has taken the button flower concept to the next level by creating ornate Plastimake petals. Super cute!